We're an established Wellington painting and renovation company, committed to improving the style and value of your property. 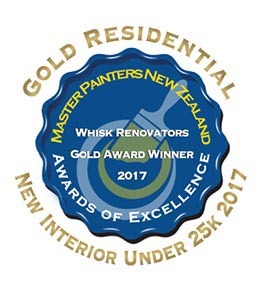 Whether it's decorating outside or in, fixing the odd building issue, or a full make-over for modernization or expansion purposes, Whisk will personally help you create the plan, offer advice through our experience and expertise as well as see the project through to full completion. Commercial or Residential property improvements are our passion and art, contact us today for a free no-obligation consultation. Whisk is built on good old-fashioned values of honesty, respect and personal service - and we love improving people's properties. Let us be part of your renovation journey. Whisk is a multi-award winning company. 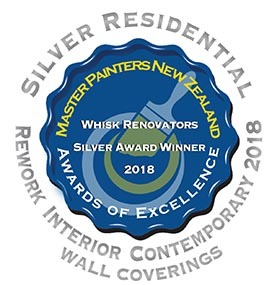 We are proud to have been recoginised in 2015, 2017 and 2018 for our top quality workmanship, through the Master Painters NZ Awards. We are not about simply "getting a job done." 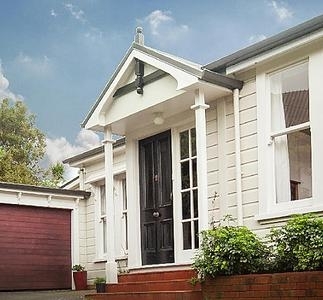 We are committed to helping achieve the best result with the right colour choices, full preparation and care for surrounding areas to your property, producing a final product that will be admired and long lasting. 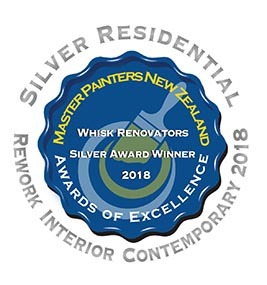 With a Master Painters guarantee and Whisk's personal commitment to service, we are the right choice for painting and decorating your property. Contact Jeff today to discuss your decorating plans. Like any 'top' surfaces to be admired in life, whether houses, art or even our own faces, it's the planning and preparation to the 'unseen' that counts - there’s not much point simply painting a broken or rotten property. Whisk's building team is known for it's excellence in providing that perfect canvas. 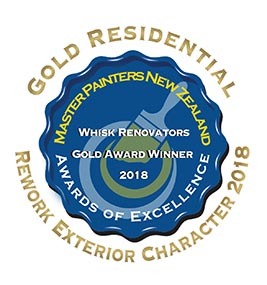 With full knowledge and years of experience in renovating existing homes and meeting council requirements, Whisk will repair the core of your property or expand it with integrity to the existing home, providing perfect 'new bones' to bring it to life. Call Jeff to help plan your renovation project. It's known that 'wet areas' such asa kitchen and bathroom are the most valued spaces in a home and that is right. They can also be the most complicated and expensive if not handled well, so you really do want someone with experience and training in these areas working with you. As a joiner by trade, Jeff's expertise maximises the potential value and function of your kitchen and bathroom. Chat to Jeff today about your dream kitchen or bathroom.